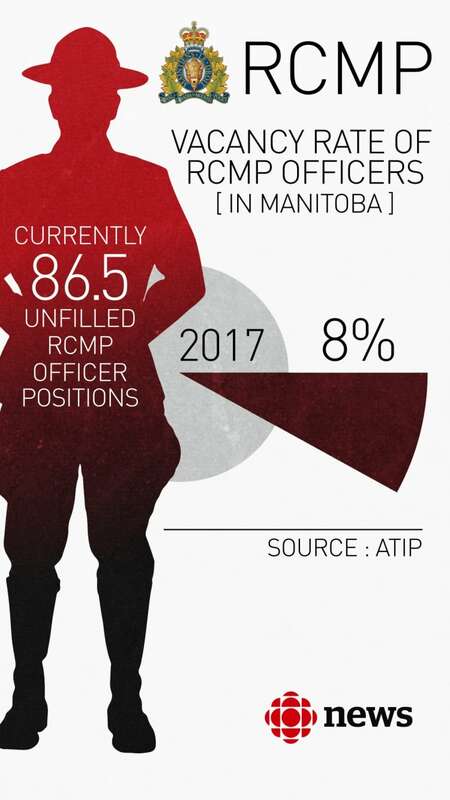 At a time when the RCMP is already facing concerns about staff shortages, new numbers show the rate of unfilled RCMP officer positions in Manitoba is sitting at eight per cent, CBC News has learned. The vacancy rate was released to CBC News through an Access to Information request. Out of 1,063 RCMP regular members in Manitoba, there are now 86.5 vacant positions, the records show. In 2015 the CBC News I-Team obtained information through an ATI request saying the vacancy rate was 3.4 per cent. The RCMP now says that number was incorrect but has not explained why, or what the rate actually was in 2015. "Members are frustrated. 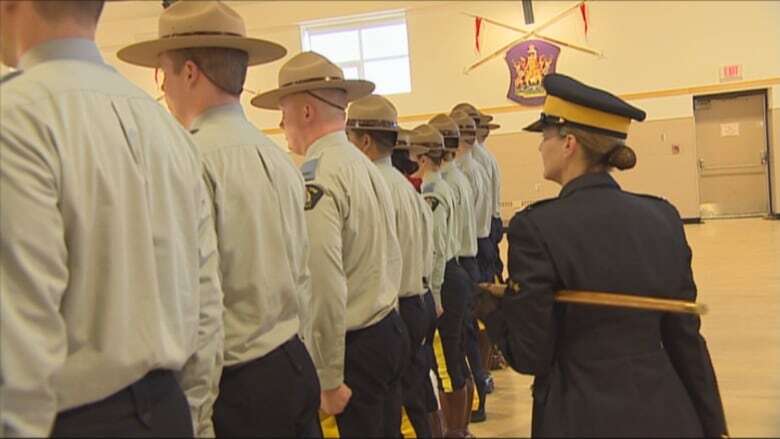 Stress is a key factor," said Brian Sauvé, a sergeant on leave from the RCMP who serves as co-chair of the National Police Federation, one of the groups vying to become the union to represent Mounties. Sauvé said the problem is likely even worse if the numbers don't capture what he calls "soft vacancies" — meaning positions that are technically filled by a person who is actually on leave, such as parental leave, sick leave, or leave without pay. "Soft vacancies is what's killing the morale of the membership, bluntly put," Sauvé said. "The RCMP does not, clearly, have a plan to backfill those positions. The expectation has always been for the existing membership to pick up the slack. And that means added workloads, added stress levels, more time away from family," he said. “Members are frustrated. Stress is a key factor,” said Brian Sauvé, a sergeant on leave from the RCMP who serves as co-chair of the National Police Federation. 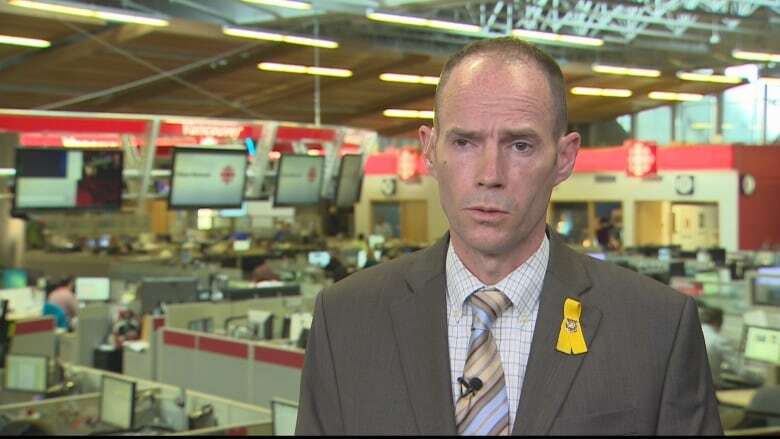 (CBC)"Essentially it's either that or putting the community at risk because you're operating with a police force that is less than what should be out there on the streets." Sauvé said vacancies are especially hard for communities with small RCMP detachments. "If you go out to Gods Lake Narrows, or Shamattawa, or Churchill, where you're dealing with three- to six-member posts, and one person breaks a leg or one person catches pneumonia, or one person goes on family-related leave, then your percentage at that one location all of a sudden becomes a 20 to a 40 per cent vacancy pattern," he said. CBC News requested an interview with RCMP headquarters in Winnipeg more than a week ago, but so far has not had a response. The staff vacancy numbers come as no surprise to those who live in the rural municipalities that rely on RCMP for policing. "It's pretty thin," Emerson Reeve Greg Janzen said. He estimates his area is down two or three officers. "They definitely don't have enough people." He said the municipality has noticed it can take up to an hour for police to respond to serious incidents like a traffic accident. "They cover a huge area," Janzen said. "We know of a lot of things that are going on and they don't have the power to police it," he said. "We know there's drugs being grown, made, and it's under everyone's eyes but there aren't enough police officers to enforce it." Janzen said staffing is becoming "an alarming concern" for the area. "I know they are doing a lot of double shifts," he said. "All you need is one officer to get the flu — and they all get sick like the rest of us — and then next thing you know you don't have anyone out patrolling." Association of Manitoba Municipalities president Chris Goertzen said his group wants a full complement of RCMP officers in the province. 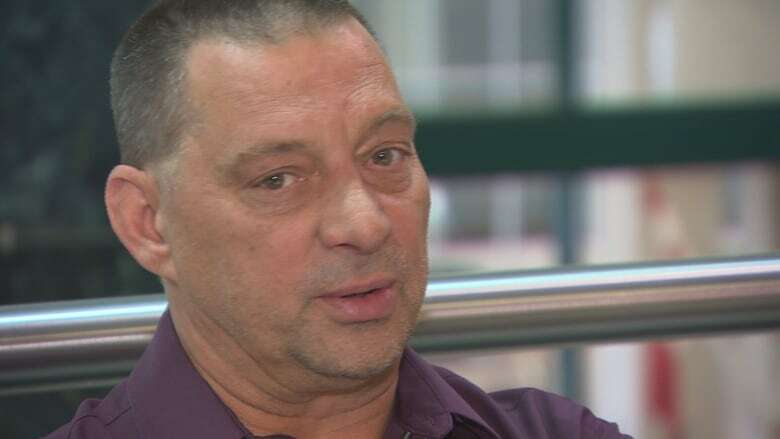 (CBC)For years, the issue of having enough officers on the ground has been high on the agenda for the Association of Manitoba Municipalities. "Certainly that is significant. Eighty-six positions is significant," AMM President Chris Goertzen said of the vacancies. 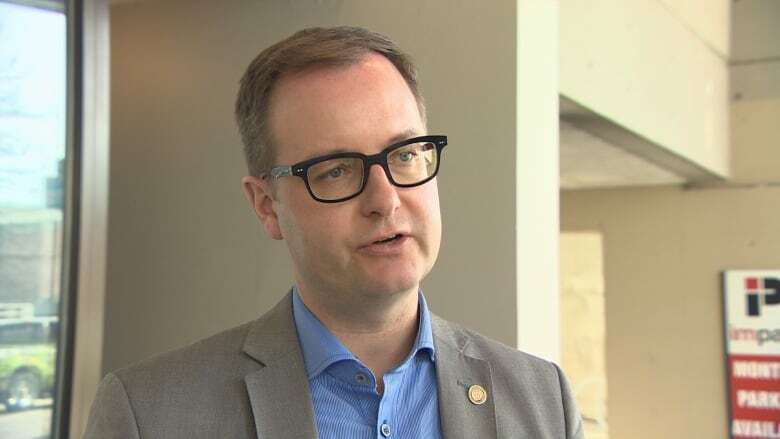 "We do want to see a full complement in this province, and we will obviously be talking to the RCMP to see where they're at with their work and their efforts towards that." In the meantime, Goertzen said some municipalities are getting innovative by creating positions to help support police. That includes measures such as hiring administrative staff to help RCMP officers, he said. "I know other communities are looking at community safety officers as well, to [handle] some of the more minor infractions. It's important to have a well-rounded way to keep our community safe," Goertzen said. The AMM is also encouraged by an upcoming change to the provincial Mental Health Act which will allow people who aren't police officers to accompany a person in custody awaiting a mental health assessment. The association believes the change will significantly reduce policing costs and free up officers for regular community policing duties. In Emerson, Janzen believes that's not enough. "They need to recruit a lot more people. Let's get the staffing to the plus side," Janzen said. "Canada is growing, Manitoba's growing. The more people you have, the more police you need. Get more police officers out there." Got a tip for the CBC I-Team? Email iteam@cbc.ca or call the confidential tip line at 204-788-3744.